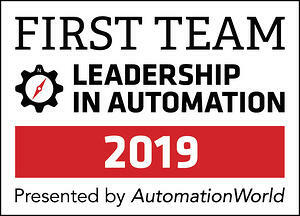 Opto 22 sincerely appreciates the time that Automation World readers took to vote by write-ins, rather than prompted answers from a list of companies. The survey was conducted through AutomationWorld.com and several email campaigns. And with the new programming options that are part of the latest release of the groov EPIC system, you can continue to count on Opto 22 as your First Team supplier for all your automation and IIoT projects. It's our goal for 2019 to provide you cutting-edge products, along with the superior level of support and service that you have come to expect from Opto 22. Remember we're always here to answer your questions, Monday through Friday from 7:00 a.m. to 5:00 p.m. Pacific Time. Whether you need technical support, want to spec a product, or just have a question about your application, we're here to help.